We have already started the "Digital Class" program in Lesser Poland. On Women's Day, the 8th of March 2013, during the celebration of the 40th anniversary of Primary School No. 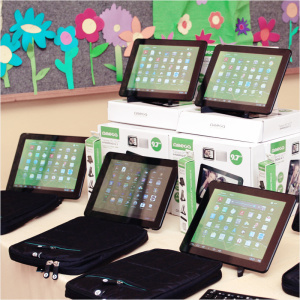 85 in Krakow we gave 36 tablets and necessary accessories for teaching with the use of mobile devices.